In the first part of our interview with Rita Excell, Executive Director of the Australia and New Zealand Driverless Vehicle Initiative (ADVI), we discussed the potential impact the driverless vehicle industry could have on today’s driving jobs and the support needed to allow workers to retrain. In the second part of our interview, we hear about the risks of a ‘driverless divide’ and discover what challenges the industry faces when it comes to educating consumers about the advent of driverless vehicles. As driverless services start to hit the streets, is there any risk of a ‘driverless divide’ developing, whereby those without access to driverless vehicles will miss out on benefits such as greater mobility? If so, what might be done to address this? To avoid the potential for a driverless divide, says Excell, it will be critical for regulators, governments and technology developers to work together to ensure equitable access to this transport evolution. In doing so, she says, “the benefits to regional communities will be huge, as public transport offerings can be provided even in low volume locations”. At the same time, driverless vehicles will offer safety benefits by not getting tired and running off the road, delivering “road safety dividends” to regional and remote parts of Australia. One important step in ensuring equitable access to driverless transport will be improvements to the accuracy of positioning data. A recently announced upgrade to the Satellite-Based Augmentation System will see the accuracy of this data improved from five metres to just 10 centimeters across Australia’s landmass and maritime zone. Indeed, says Excell, “rather than creating a have’s and have-not’s divide, driverless vehicles will arguably provide greater equality for people right across the community. As we see more commercial deployment of driverless vehicle types, more and more people will be able to enjoy this technology.” In addition, she says, commercial pressure and market demand will force operators to provide an affordable mobility service. When this group can use driverless vehicles to travel to work and play, instead of relying on carers, family and public transport, she says, they will be able to explore locations not currently served by public transport. Even those who do drive will no longer need to worry about trying to find a disabled parking space, because a driverless vehicle will be able to drop them off in a convenient location before parking elsewhere. According to ADVI-commissioned polling, Australians agree. In a recent survey, 82% of people recognised that the greatest benefit from self-driving vehicles is mobility for people with driving impairments or restrictions. You recently held your third International Driverless Vehicle Summit in Adelaide. What topics were of most interest to attendees at the 2018 event? 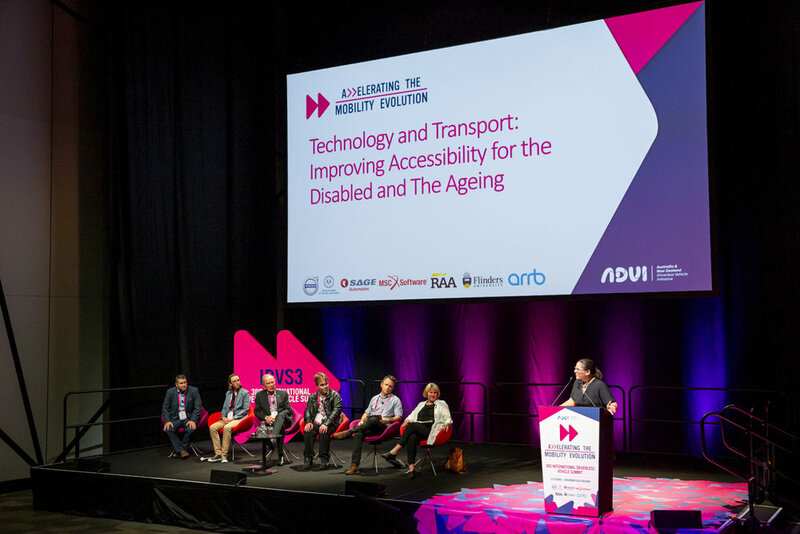 In November 2018 the ADVI summit attracted nearly 300 delegates to hear from some of the leading international experts on automated vehicle technologies. One of the highlights for delegates, says Excell, was having the opportunity to experience a range of different driverless vehicle types, including a Cohda Wireless Lincoln sedan fitted with the latest Vehicle to Everything (V2X) technology, the Navya driverless shuttle used in the current FLEX trial, and an Aurrigo driverless shuttle, as part of a first mile-last mile transport demonstration. Attendees also heard from Australian Deputy Prime Minister Michael McCormack about the Government’s commitment to advancing automated vehicle technologies, and from the RAC’s Anne Still on one of the world’s first robo-taxi trials in Western Australia. The summit was, she says, “an outstanding success”. One of ADVI’s roles is to raise awareness about the benefits of driverless vehicles. Given the high-profile crashes involving automated vehicles last year, what challenges do you face when it comes to consumer education? She notes that an ADVI-commissioned poll – “the most comprehensive public opinion survey ever undertaken about driverless vehicles across Australia and New Zealand” – found that people are “more than prepared” to give driverless technology the benefit of the doubt. People are “more than prepared” to give driverless technology the benefit of the doubt. “The greatest challenge the industry faces is winning the hearts and minds of the community, and trials and deployments are the perfect opportunity to do that,” she continues. Another potential challenge is motorists’ reliance on their own vehicles. As the industry develops and driverless vehicles become more widespread, Excell says that it’s important to work towards encouraging people to “swap the convenience of their own car” with the affordability of pick-up and drop-off services using driverless shuttles. What else is in the pipeline for ADVI? Excell believes that as “one of only a handful” of countries conducting on-road driverless vehicle research, Australia and New Zealand have the opportunity to become global leaders in driverless vehicle technologies, invigorating their automotive technology sectors in the process. Over the last three years, ADVI has evolved from a group of 25 partners to one that now involves more than 128 organisations, including partners from government, academia and manufacturers. Excell says that it is therefore ADVI’s role “to ensure that the community remains at the very forefront of its activities as the nation transitions to this new technology”. To do so, it will continue to work with partners to broker important introductions, encourage information-sharing and “help connect the many dots” necessary to accelerate the evolution of mobility. ADVI has evolved from a group of 25 partners to one that now involves more than 128 organisations. The body will also continue its work to attract automated vehicle companies to bring their technologies to Australia and test them in local conditions. Indeed, ADVI has found that its program partners each intend to invest up to $10m in the sector over the next five years. “This investment commitment is exactly the reason why Australia is positioned at the forefront of this exciting global transport revolution,” says Excell. Finally, what are you personally looking forward to most about the advent of driverless vehicles? Excell again points to the benefits driverless technologies can offer to those with limited mobility. “On a personal level, I have a family member who suffers from Multiple Sclerosis who is facing the challenge of having to give up their licence and personal mobility,” she says. “This technology will mean that they won’t have to make this decision as the technology will support them to remain independent for longer and maintain social activity in the community. While most people tend to go through a rite of passage whereby they get a driving licence and buy a car, “many of the 4.3 million Australians living with disability do not get to experience that level of freedom”, she says. “Automated vehicles make for a more level playing field,” says Excell, while offering “life-changing opportunities for some of our most vulnerable in the community”. Rita Excell is Executive Director of the Australia and New Zealand Driverless Vehicle Initiative (ADVI) Centre of Excellence and is responsible for delivering ADVI’s contribution to the safe and successful introduction of driverless vehicle technologies into Australia. 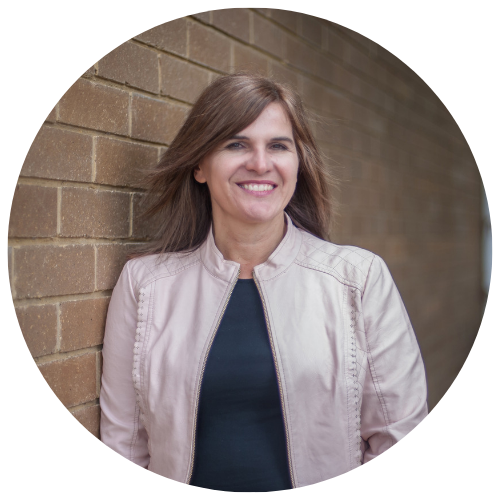 Her prior roles include Regional Manager of ARRB Group’s South Australian office, managing key strategic policy projects for State Road Authorities and organisations responsible for public and private road infrastructure.